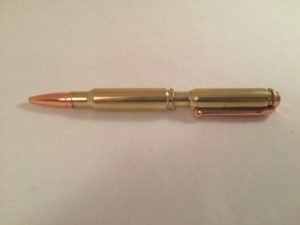 Surprise your Valentine with this unique bullet case pen. You can choose up to two lines of engraving for an extra $10. 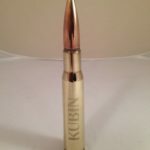 It is custom made using two real brass .308 rifle bullet cartridges. For this style, the case heads are not centered in the middle, but both case heads are set towards the top of the pen. These cases are once-fired, therefore there may be small imperfections – adding character in the cartridge. 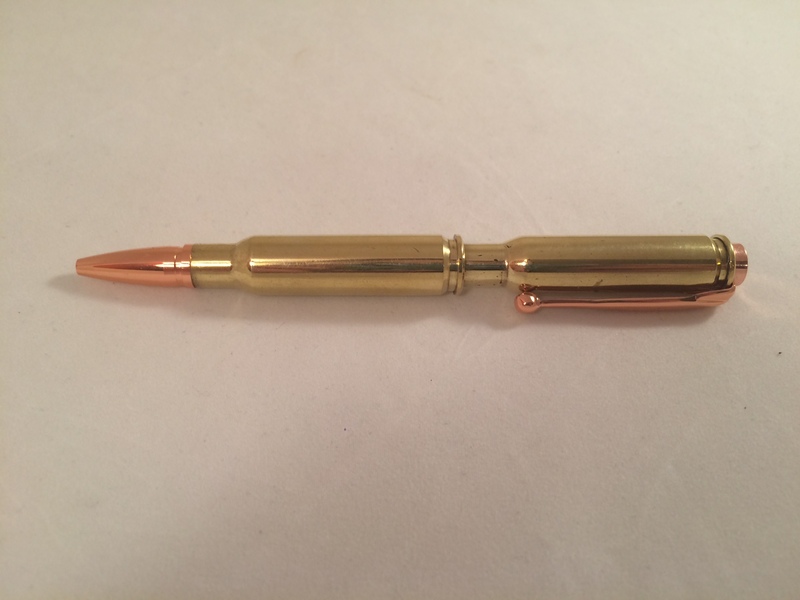 The pen is trimmed with copper metal fittings that resemble a real copper bullet. Also, it has a copper clip. It comes with a black Cross compatible refill. Cross refills are available at office supply stores. 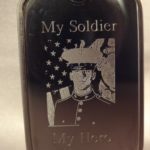 Custom engraving is offered – typically it is done on the top portion. Please email us if you prefer your optional engraving on the bottom. If engraving is ordered, Line One must be chosen before Line Two. If Line Two is chosen first, your order WILL NOT be processed. 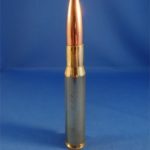 The 308 is the commercial equivalent of the military 7.62 x 51mm NATO. Dog Tag Engraved with A PICTURE YOU SEND US! 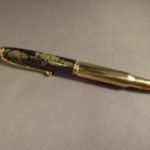 ENGRAVED Brass .50 Caliber Bullet Pen-Groomsman Gift. Graduation Gift. Soldier Gift. Personalized Gift.